A stay at Infinity Hotel St. Peter places you in the heart of Rome, within a 15-minute walk of Vatican Museums and St. Peter's Square. This hotel is 0.7 mi (1.1 km) from Castel Sant'Angelo and 0.7 mi (1.1 km) from St. Peter's Basilica. A stay at Fabio Massimo Design Hotel places you in the heart of Rome, within a 15-minute walk of Vatican Museums and Castel Sant'Angelo. 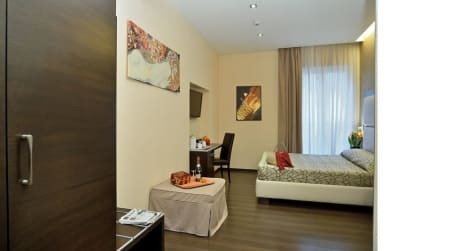 This hotel is 0.9 mi (1.4 km) from Piazza del Popolo and 1 mi (1.6 km) from Via del Corso.